Explore your imagination at this interactive exhibit at Epcot. 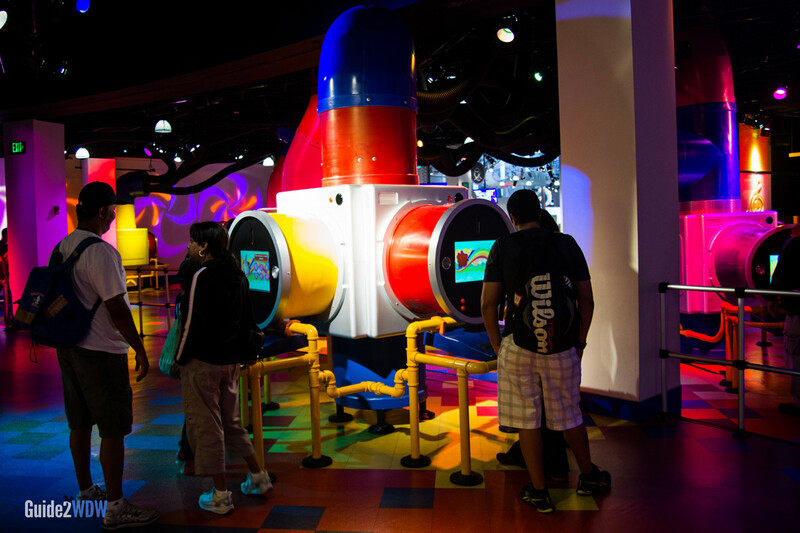 Located in the Imagination Pavilion, the ImageWorks What If Labs feature several interactive activities designed to spark your imagination through pictures and sound. Stepping Tones – Create music by stepping on picture panels that make sound. Create a Figment – Use a touchscreen to make your own customized Figment, and then email it to yourself or a friend. You will pass by these exhibits after riding Journey Into Imagination with Figment. These activities can be a cute diversion for a few minutes, but the experiences aren’t nearly as compelling as the original, 2-story version of ImageWorks that included activities such as Dreamfinder’s School of Drama, Figment’s Coloring Book, or the Voice Activated Lumia. ImageWorks can be fun for 15 minutes or a half hour, but if you or your family wants to have a more in-depth interactive experience, check out Innoventions, located by Spaceship Earth. ImageWorks also features a gift shop. You don’t have to ride Journey Into Imagination with Figment to enjoy the activities at ImageWorks. Just walk through the gift shop doors at the Imagination Pavilion. 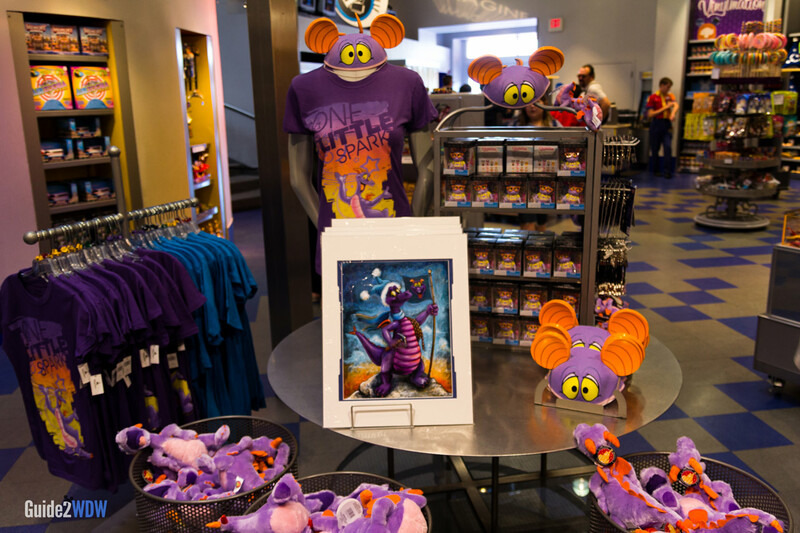 Want a keepsake adorned with everyone’s favorite Epcot character, Figment? Head to ImageWorks. The gift shop here is the place to get Figment merchandise, including shirts, pins, and plush. Another shop to check out is MouseGears, located at the heart of Future World. 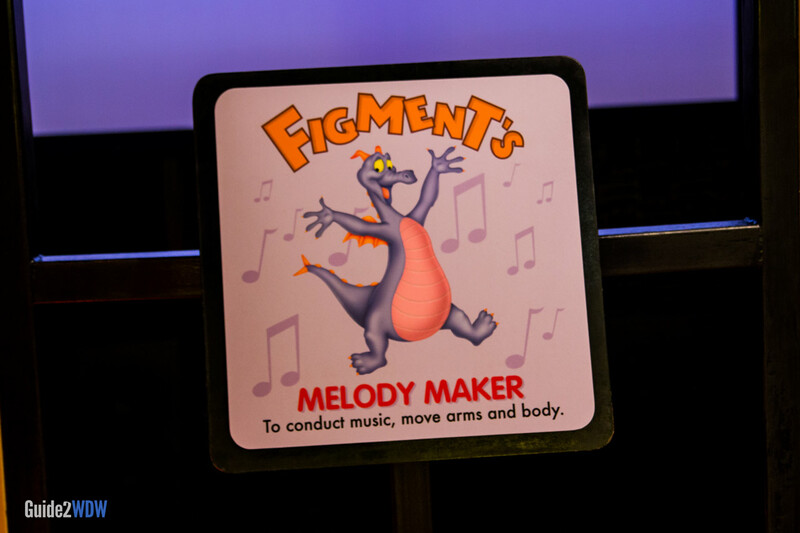 Move your arms and body to create music at Figment’s Melody Maker. There are many interactive stations at ImageWorks. This gift shop is the place at Epcot for Figment Merchandise.